There is only one thing in the world that has such amazing powers that it can cure skin problems, heal the body, and improve medical issues. What is it you wonder? It is the the aloe vera plant. This plant has been used for thousands of years. People would strip the gel that lies within the leaf and use it directly on the ailment they seek to cure. However, in modern times the plant is often mixed with chemicals that can be harmful to the body, or make the plant less effective. Therefore, this is a guide to the ways one can use this powerful flora, in its purest, most effect forms to cure ailments. Dandruff: If you are encountering a bad case of dandruff and don’t wish to use harmful sulfate, dandruff shampoos, or can’t figure out how to get rid of it, follow this suggestion. Take an aloe leaf, and scrape the inner gel out into a bowl. Then mix with organic coconut oil until you get a smooth, gel-like consistency. Take this mixture and clump it on the scalp, particularly where dandruff is at its worse. Let this sit for an hour, then wash hair well with sulfate free shampoo (may need to wash more than once). Blow dry on warm until dry, and make sure you brush while doing so. This is important so the nutrients spread throughout the hair. If you do so, you should have flawless, commercial worthy hair. Acne: Buy organic 100% aloe vera juice, and take a shot glass full a day. Though the drink tastes horrible, it provides a glowy, smooth complexion. For even more effective treatment place, aloe gel (straight from the leaf) onto the face to help clear away acne and heal any scabs. Dental Plaque: To make your teeth healthier and to decrease plaque build up, purchase 100% aloe vera juice, and drink once a day to help get cleaner teeth. You can either drink this liquid or use it as a mouth rise, as one would use Listerine. Burns: Though it is well known that aloe vera helps to heal burns or increase healing, most people don’t actually use aloe vera. They use aloe vera burn reliefs that are a higher percentage of other chemicals rather than the plant itself. Henceforth, I recommend buying a leaf from the local Publix and removing the gel straight from the plant and placing it onto your burns. Bruises: Place the gel of a leaf continually over a bruise to make it heal faster and leave your skin looking good as new. Any other skin ailments: Aloe vera is great for the skin and can help with many ailments. 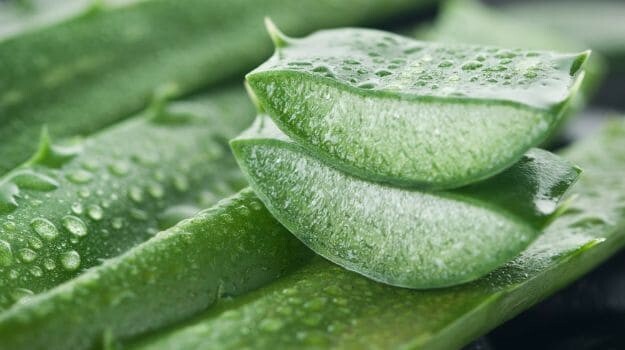 Therefore, if you ever encounter any strange rashes or skin issues, try placing pure aloe vera gel onto your skin, and often improvements will be seen. This plant often could be called magical by anyone who uses it commonly, myself being one of them. I have used it for all of these issues at one point of my life and have found it effective for each case above. The aloe vera plant is truly a solution to many issues one may face. Henceforth, just go to the nearest Publix and buy a vera leaf from their produce section (priced at $1.99 per leaf ). Then you can follow any of the directions above to feel the fabulous abilities of the famous plant.